Salman Khan has been busy wrapping up his film Tubelight with Kabir Khan in Mumbai. Salman Khan has been busy wrapping up his film Tubelight with Kabir Khan in Mumbai. The actor is said to be shooting for the last few remaining days and on Monday, he took some time out to meet Jackie Chan. Salman. Our guess is there will soon be an announcement of a film with the two stars together. 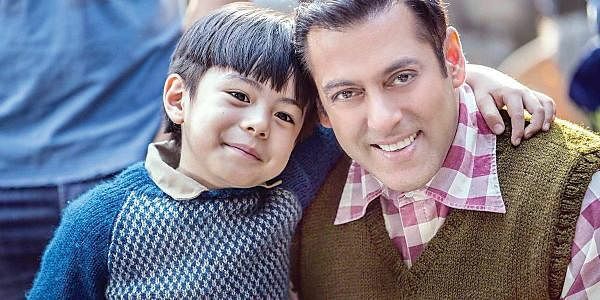 Salman later took to twitter to post two pictures of himself with Matin Rey Tangu, a child actor from his Indo-China war drama. “Backed by Matin Rey Tangu.” Casting director Mukesh Chhabra has done the casting for the film. The film also stars Chinese actress, Zhu Zhu in the lead with Salman.